In order to successfully go From the Classroom, To the City, To the World, our students must diversify their experiences at Pitt and develop hands-on leadership skills essential to a career in business. Pitt Business student organizations are a good way to do this. Designed to run like small businesses, the organizations put students in control. We count on members to coordinate speaker visits from the corporate community, to arrange site visits to local offices of financial institutions and accounting firms, to sponsor social activities for members, and much more. As a member of a student organization, you will make friends for life and develop skills that enhance your resume for your first job. Club activities include: Networking with business professionals on understanding D&I efforts in the workplace participating in roundtable discussions regarding key issues that adversely impact a more united and tolerant world, participating in D&I events throughout the Pittsburgh area including the Diversity Conference and more. Alpha Kappa Psi is a co-ed professional business fraternity dedicated to the advancement of individuals within a business environment. AKPsi was founded upon the principles of educating our members and the public to appreciate higher ideals in business and to further the individual welfare of members during college and beyond. We are an extensive organization, with over 200,000 current and past members, on hundreds of campuses worldwide. Students of all majors and years who are hoping to one day thrive in the business world are welcome to visit our rush informational meetings. To learn more and join, contact Kavi Galal at pitt.akpsi.pres@gmail.com. The Pitt Chapter of the American Marketing Association is fine-tuned to serve the needs of students interested in any specific disciplines within marketing such as advertising; market research/analytics; sales and branding. Pitt AMA is affiliated with the professional Pittsburgh American Marketing Association and the National Chapter. Membership offers passionate students of all majors a multitude of opportunities to meet real-world professionals, participate in international competitions, and attend national conferences. Contact our VP of Membership, Kerriane Kistner, at kek149@pitt.edu to find out how to get started, today! Delta Sigma Pi is America’s foremost professional fraternity for men and women pursuing careers in business. The University of Pittsburgh chapter, Lambda, was founded in 1921. We focus on professional growth, academic excellence, giving back to the community and enjoying ourselves along the way. We accept College of Business Administration students as well as students pursuing an Economics Degree in The School of Arts & Sciences with a GPA of a 3.0 or higher. For any additional information please see our website https://pittdsp.com/. To join the organization, contact Sydney Ruble at snr43@pitt.edu. Enactus is a community of student, academic and business leaders committed to using the power of social entrepreneurship to enable human progress. Members apply business concepts to develop community outreach projects that transform lives and shape a better, more sustainable world. We engage in several different projects in the greater Pittsburgh region and around the world, and have been recognized at regional and national Enactus competitions. All majors are welcome. Please visit the national website at enactus.org. The Fashion Business Association (FBA) strives to connect students interested in the fashion industry while increasing knowledge of the business aspects of fashion by improving communication, networking, and leadership skills. As the only professional organization at the University of Pittsburgh that focuses on the fashion industry, FBA aims to increase the knowledge of their members through hosting professional, social, and networking events. These events include, but are not limited to: hosting speakers from top retailers, site visits to businesses within the Pittsburgh area and beyond, as well as fundraising, networking, and community service events. The Fashion Business Association also hosts an annual spring Fashion Show in which profits are donated to a local charity each year. FBA gladly accepts membership across all majors from students in good academic standing. Feel free to learn more about us on our website pittfashionbusiness.wix.com, or via our social media channels: Facebook, Twitter, FBA Blog, and Website. To learn more and join, contact Sage Milton at secretaryfba@gmail.com. 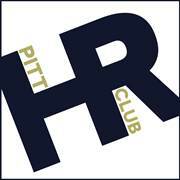 Founded in January 2014 by Alyssa Swanson, Lorraine Grant, Hannah Mayes, and Kelsey Griffith, the establishment of the Human Resources Club (HR Club) paralleled the University of Pittsburgh’s creation of the Human Resource Management Major in the 2013-2014 academic year. Its purpose and goal is to expose members to the different facets of the Human Resources Profession and ready them for a career of their own by providing them with networking, learning, and development opportunities. It is important to note that membership is not limited to individuals majoring in Human Resource Management major. The HR Club is open to anyone that sees him or herself as career-minded. For information please visit:http://pitthrclub.weebly.com/. The League of Emerging Analytics Professionals (aka LEAP) is a student organization that aims act as the outlet for analytic opportunities and driving force to create new opportunities for students across all academic programs at the University of Pittsburgh. LEAP is the primary conduit for leading analytics companies and organizations to find new hires. Our mission is to stimulate conversation around analytics and develop practical skills for use in this evolving and dynamic discipline through the three pillars of the organization: Education and Awareness, Experienced Based Learning, and Career and Professional Development. For more information, please contact Gabriela Thoma at gat39@pitt.edu. Panther Equity is a student-run investment fund covering multiple sectors of the S&P 500. The organization maintains a dual-mandate: First, to promote the education of the capital markets and intelligent investing to all Pitt students regardless of major or skill level. The other is to achieve long-term above average, risk-adjusted returns against the portfolio benchmark. Through membership in Panther Equity, students gain hands-on experience in equity research and valuation that prepare them for careers in financial services. To learn more and to join, please contact Matthew Reinmund at pantherequityfund@gmail.com. and service. We have a multitude of leadership opportunities ranging from our executive leadership positions to special teams advisers, to recruitment chairs, and many more! Additionally, a fun fact about PBL is we send our members down to Bolivia over spring break the past two years to work on an international consulting project. To learn more and join, contact Alexander Bloom at pittpbl.pres@gmail.com. 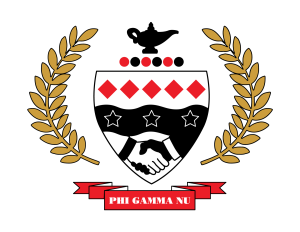 Phi Gamma Nu is a Co-Ed Professional Business Fraternity focused on preparing our members for the professional world after college. We pride ourselves on having a diverse membership as we accept all majors only requiring an interest in business to apply. We stand on our three pillars of professionalism, philanthropy, and brotherhood to foster excellence and dedication in our members. Please contact deltaomega@phigammanu.com for more information. 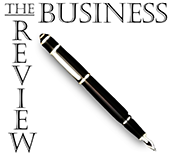 The Pitt Business Review (PBR) is an online writing organization. PBR writers analyze and report on current topics and trends related to business. Our members have the unique opportunity to build their portfolios by writing articles for online publication on our website, https://pittbusinessreview.wordpress.com/. PBR writers have the liberty of exploring topics of interest or relevance to their major, letting them customize their professional development and experience. Our organization interacts both online, and through meetings, with no mandatory dues. Members must simply write at least one well-composed article or more per semester to be considered an official PBR contributor/writer. Pitt Collegiate DECA is a professional development organization that focuses on bringing out an entrepreneurial spirit in everything our members do. Our programs assist in developing well-rounded, experienced leaders who are both community-oriented and professionally responsible. Collegiate DECA conferences and other activities give students unique access to internships, scholarships, competition, and professional networking. There are an incredible number of reasons to join DECA, whether you’re looking to get involved on campus, make new friends, build your resume, expand your knowledge in the business world, meet and network with professionals in the industry, or be a part of something bigger than yourself, DECA has everything you need. The Pitt Private Equity and Venture Capital Club (PEVC) is dedicated to bridging the gap between the classroom and the professional world. 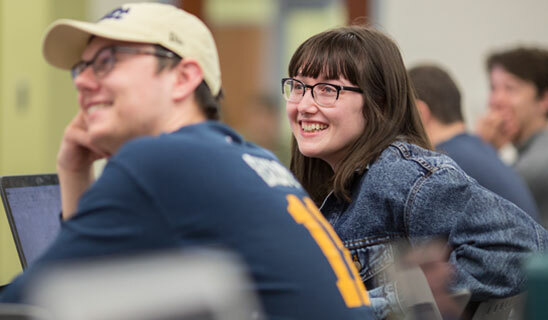 Whether you are a biology major or finance focused, Pitt PEVC offers the educational resources and networking opportunities to grow your professional brand and increase employment opportunities. Pitt PEVC is more than a business club, it about understanding the entrepreneurial process and applying analytical thinking techniques to succeed. PEVC is focused on making mutually beneficial partnerships with GP’s and LP’s throughout the Pittsburgh community. Additionally, many members of the Pitt PEVC team have experience in technology, investing, and business development. As such, if you’re an entrepreneur that needs help with research, marketing, partnerships, budgeting, investment analysis, and fundraising, we can probably help. Please feel free to shoot us a message that describes your needs, and a member of the team will get back to you as soon as possible! For more information and to join, please contact Pitt.PEVC@gmail.com. The Pitt Real Estate Association holds bi-weekly meetings where top professionals in the real estate industry describe how they made it to where they are. They also teach and educate their techniques to our members. This provides education and networking opportunities. For information and to join, contact Liam McLaughlin at lrm67@pitt.edu. The Roberto Clemente Multicultural Business Association (RCMBA) is the quintessential resource for minority students matriculating through the College of Business Administration here at the University of Pittsburgh. We are dedicated to academic excellence, visionary leadership, diversity, and service to the Pittsburgh community. The Socially Responsible Investment Portfolio (SRIP) was created by students and faculty at the University of Pittsburgh in association with the David Berg Center for Ethics and Leadership and the Certificate in Leadership and Ethics Program. The organization’s goal is to give members the opportunity to apply social responsibility along with sound knowledge of finance in order to invest in a real-world investment portfolio. The experience teaches students applicable skills that prepare them as business and finance professionals. The Sports Business Association (SBA) works to assist in the professional development of all University of Pittsburgh students interested in the field of Sports Business. SBA’s primary goal is to facilitate working relationships between Pitt students and professionals in the sports industry. In addition, it is our mission to educate our members on all realms of sports business and to be a resource for students who wish to learn more about careers in the industry. Club contact email: pittsburghsba@gmail.com. The Society for International Business is a club dedicated to bringing students together to discover the various international opportunities Pitt Has to offer as well as giving students the necessary tools they need to fulfill their international dreams. By bringing in speakers from various international companies, holding international resume workshops, and working on international service projects, the Society for International Business has something for everyone! To learn more and join, contact Candice Chang at pittsib2016@gmail.com. The purpose of the Supply Chain Management (SCM) Club is to promote the Pitt Business SCM major within the University of Pittsburgh. The club offers opportunities for students and faculty to learn about SCM and the related professions. The club also provides development of leadership, responsibility, character, and networking through events, speakers who work in SCM field, and SCM facility tours. We also work with the KATZ Center for Supply Chain Management, and we have a 3D printer! The Pitt Undergraduate Finance Club is a student-run organization focused on educating its members and providing them with opportunities to gain experience across fields within the finance industry. While the Finance Club has worked diligently to establish deeply rooted relationships with some of the industry’s most respected firms, the club constantly seeks to build new relationships. This organization will offer opportunities for networking and professional development through panels, site visits, and our annual charity golf outing. The Undergraduate Finance Club will also encourage and help students to explore internship/career possibilities through the clubs networking events. For information and to join, contact Tyler Rabiger at trr50@pitt.edu. The objective of the University of Pittsburgh Accounting Association (UPAA) is to enhance the academic and professional development of students in the accounting program. UPAA provides many opportunities for students to advance as leaders and professionals through corporate events, community service events, and educational programs. Women in Business (WIB) facilitate the professional growth and development of women within the University of Pittsburgh. Our goal is to empower and cultivate young women into excellent business leaders by providing them with the necessary knowledge and skills to be successful in the global business arena. We are committed to shaping young women into successful business leaders by fostering an environment of continuous growth and excellence, and developing a network of business professionals at the University of Pittsburgh. The vision of Women in Business is to have successful and powerful businesswomen in positions to advocate change. Our organization is comprised of highly motivated young women interested in building on their professional skills, expanding their professional and social networks, and giving back to the community. WiB members come from all over Pitt’s campus. We welcome students of all majors. Our members are primarily focused in the area of business, but we hope to see a growth in non-business major attendance. To learn more and join, contact Emma Huckins at pittwib@gmail.com. Smart Women Securities is a new organization at Pitt Business that focuses on female investment education and networking skills. Our club was formed to provide the women at Pitt who are interested in finance with a forum to learn more about the various careers in the industry and gain valued capital markets and investing skills. For more information and to join, contact Juliana Ritrievi at jvr12@pitt.edu. Women in Sports and Events (WISE) is a new organization starting at Pitt that was a chapter in the city of Pittsburgh as well as many chapters nationally. We are focusing on developing our professional skills and getting experience and making connections as women within the sports business industry. For more information and to join, contact Rachel Dugan at rad140@pitt.edu. 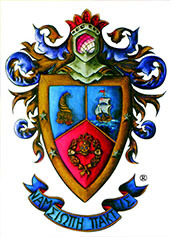 Beta Gamma Sigma is the national honor society serving business programs accredited by AACSB International, The Association to Advance Collegiate Schools of Business. Membership in Beta Gamma Sigma is the highest recognition a business student anywhere in the world can receive in a business program accredited by AACSB International. It is equivalent to Phi Beta Kappa in the liberal arts. Membership is by invitation only to qualified Juniors and Seniors.